CARMEL, Ind. 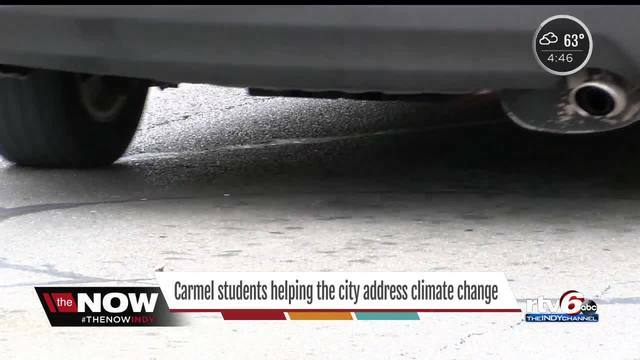 -- The city of Carmel is working to address the controversial issue of climate change thanks to a group of high school students. The students received unanimous approval at Monday night’s Carmel City Council meeting to create a climate action plan for the city that would include addressing vehicle emissions. “I just hope that one day everyone understands that it is happening and it is a big deal,” said Carmel High School Senior Miranda Fausto. Southeast District Carmel City Councilman Jeff Worrell said there’s no timetable on when things will be set in motion since the resolution isn’t a law, but he commends the students on their fervor to accomplish something that’s important to them. “This is more inspirational and aspirational where we are going to address it after looking at it and establish some baselines. Then we can decide how to move forward,” said Worrell.